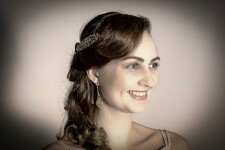 Be beautiful, be bold and be different with Ciao Bella Jewellery and hair accessories. 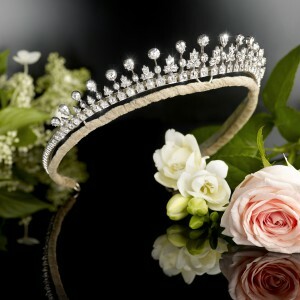 We specialise in AAA+ rated Cubic Zirconia and our extensive collection will ensure you shine brightly on your big day. Fellows offer an excellent selection of beautiful, unique items. Whether you’re looking for your forever ring or some stunning vintage pieces to add the final touches to your outfit, it is possible to find some incredible pieces at auction. 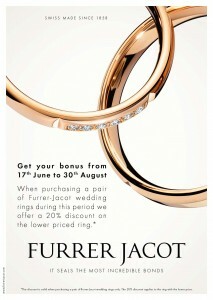 Furrer-Jacot AG, the Swiss leading wedding ring manufacturer is offering a special deal during the summer months. Get your bonus from 17th June to 30th August. 20% discount on the lower priced ring. For your nearest stockist please visit our websit.